Thank you so much Doug for he feature in your group, "Macro Marvels", I appreciate the honor! Very nice color. It does bring back many memories. Good job! Thank you for featuring my photograph in your group, "Midwest America Photography", I appreciate the honor David! Thanks so much Nancy for the feature of my photograph in your group, Macro Photographer, I am honored! 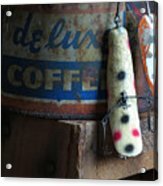 Sandra, Congratulations your work has been featured in the group "Fish Artists" and is my Administrator Pick for the Day on our homepage. Thank you for sharing and congratulations again. Thanks so much Bruce for featuring my photo in your group "Fish Artist" and again for inviting me to it! 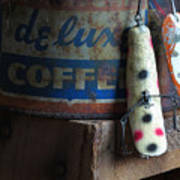 Isn't it amazing what you can find and how you can use the stuff. Excellent. Thanks Jeff! Good use of all the stuff I collect, lol! Many thanks to you John for featuring my photo in your group, "Images That Excite You"! Thanks RC, I think he is! Hope you enjoy the Holidays too! Thank you Joe and for looking at my work! 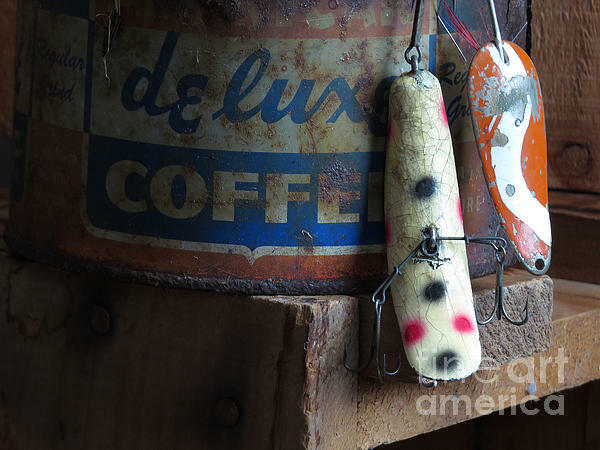 This is my photograph of two old fishing lure hang off an old rusty coffee can.. @Sandra Church. All Rights Reserved. 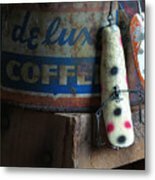 My name is Sandra L Church (aka Sandy Church) and I'd like to welcome you to my Fine Art America/Pixels website. Here you’ll find a never endings growing, collection of unique drawings, paintings and photography, all of which I hope you enjoy as much as I enjoyed creating them. @Sandra Church. All rights reserved. Copying and/or distributing these images without my permission is strictly prohibited.